Forms to book the activities aimed at schools can be sent from 6th September 2018. 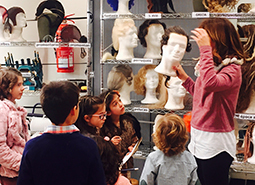 The Palau de les Arts Reina Sofía in Valencia has put together a didactic programme of activities aimed at students and families. 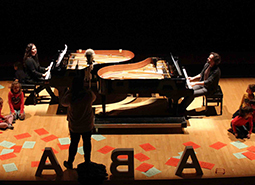 The main objective is to bring music nearer to the youngest members of our community, as well as introducing the largest number possible of students of all ages to the world of opera, symphonic and chamber music, and the scenic and audiovisual arts. During the 2017-2018 season, a variety of activities are intended to be used as didactic tools for primary, secondary schools, specialised education centres and university. Groups interested in taking part in the different activities on offer, can book attendance via educacio@lesarts.com, where they can also make enquiries related to education. The Department of Dramatúrgia, Publicacions i Educació has prepared a didactic guide for each activity, which is sent to the school. The guide includes complementary material to be used in the classroom. Promoting an education in music amongst the youngest members of our community is essential for the personal development of each individual, both in the classroom and in other areas of society. The educational objective of the Palau de les Arts is to make each activity a motivating experience for all those who attend.